India is a challenging but interesting market. What is your take and experience in the Indian market especially when it comes to positioning an international product in the local market? While India is such a large country – due to its sheer geographical spread and diversity – and poses challenges like infrastructure, income disparities and varying business and economic conditions across the length and breadth of the country, I see a positive side in terms of its demographic trends where 65% of the population is below the age of 35 and a rising middle class of nearly 300 million people. The Indian economy growing steadily at 7.5% and above is set to become the world’s fastest growing economy in the near future. It is for these reasons that India is a challenging and interesting market at the same time and remains an attractive proposition for American and European businesses. 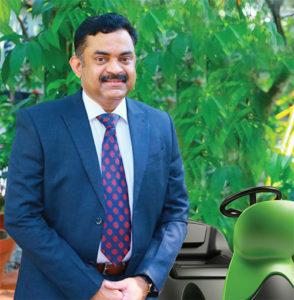 IPC’s position in India is directly linked to the growth of cleaning services in the Asia Pacific region where the CAGR in the region is stated to be 7%, and fastest in India where it is hovering around 20% by the industry estimates. 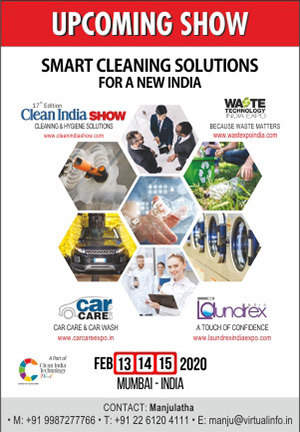 Due to largely unorganised structure of the Indian cleaning market, a substantiating research would be required to corroborate the growth of Indian cleaning services. In the last 22 years of our presence in the Indian market, our experience has been quite overwhelming and especially exciting over the last three years as we decided to change our strategy and open our branch offices in the major commercial/industrial cities across the country and reach our customers directly. As one of the leading manufacturers across the globe, our core competence has always been manufacturing. We manufacture machines for many brands across the world. In India until 2015, our sales mainly relied on the efficacy of our indirect channel. Positioning an international brand in Indian dynamics especially a product like cleaning machine is fraught with its own challenges. 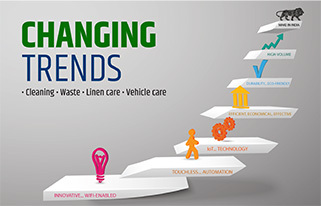 The cleaning machines per se in their product life cycle stage are at growth curve in India just yet. The economy of scale has not been reached. An impediment to faster growth and spread of mechanization is essentially the high prices of the machines. Evolved markets in America and Europe have overcome these challenges. Our positioning strategy has always been focused on endurance of the products and the relatively low ownership cost. We worked on a marketing communication specially for Indian market, that creates awareness of the most appropriate and optimized solutions which can be provided to our customers for diverse requirements & for various unaddressed pain points. There is a further need to create awareness about the right & optimal mechanisation of cleaning here and the many benefits – like removal of stigma associated with manual cleaning, and improvement of image of cleaning as a profession- that it would bring along. 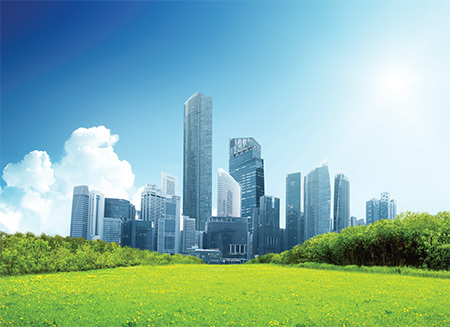 What are the specific solutions IPC India is offering for industries and commercial properties? 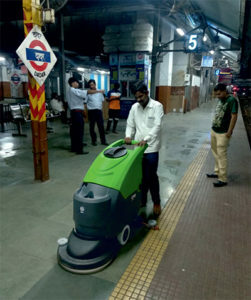 Given the wide portfolio of machines and tools that IPC has, the specific solutions for specific cleaning needs are recommended and have been accepted widely by our customers- be it for commercial cleaning like facades, gutters, drains and high rise windows where safety & accessibility is a challenge still. 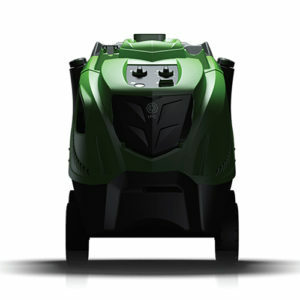 The IPC machines High Pure, Green Tube and SkyVac have filled the gap in the market. There is no need for using scaffoldings, bosun’s chair or elevated platforms; thus cutting the risk out of otherwise such anxiety filled tasks. 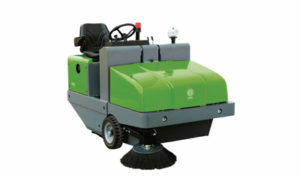 The machines can be operated standing on the ground and no chemicals are required while carrying out the cleaning. A host of solutions like manual & mechanized ride-on scrubber driers, sweepers, steam cleaners and hot & cold water high pressure washers are available for other outdoor & indoor cleaning needs. As for the industrial applications, with the largest variety of Industrial vacuums in the world, I would say that IPC tops the table. Our customers range from the pharmaceutical industry to food industry to beverage bottling plants and heavy production and maintenance units of the metro yards. The IPC’s industrial vacuum range offers continuous 24×7 operations, complete safety while handling hazardous and explosive dusts, handling metal chips to carrying out stringent job requirements of clean and white rooms. The versatile industrial products are also employed in cotton mills scouring hazardous fluff to removing cobwebs from high ceilings and bird droppings on façade and glass ceilings. The market is witnessing a change and the partnerships and acquisitions are altering the landscape of the cleaning industry as a whole. Big players with experience of their international business environs are either partnering with big local players or acquiring small established businesses. They are raising the overall bar and a new culture of hygiene consciousness is being introduced. In turn, the increased mechanisation methods employed by these large players are not only making the cleaning more productive, safe and reliable but also gradually eroding the taboo associated with cleaning in India. From ‘visibly’ clean to ‘hygienically’ clean approachnow this is a paradigm shift which is underway. 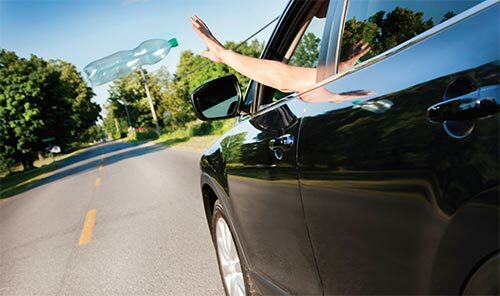 The need of the hour is to cut down on the use of resources employed in the cleaning methods by switching to technology that focuses on sustainability by being frugal on the use of water and cleaning agents and also using intelligent technology to minimize operational costs. The case in point would be IPC eco-design professional vacuums, filter less industrial vacuums, patented flow mix vacuum technology, SLS systems in scrubber driers and double battery life models of mechanised sweepers.